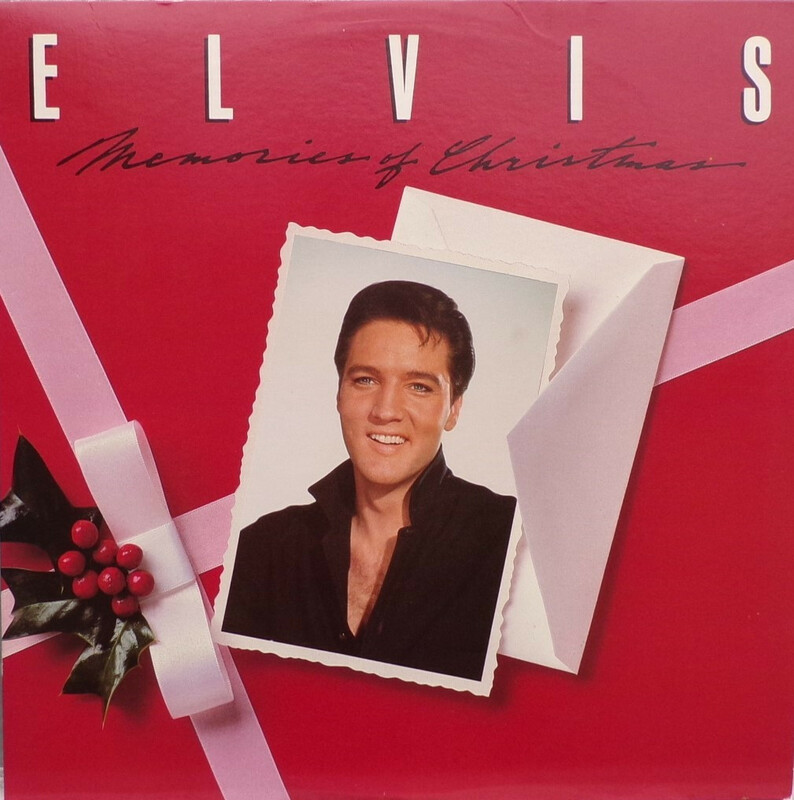 "Memories of Christmas" is a must-have for Elvis Presley collectors because of its previously unreleased material. 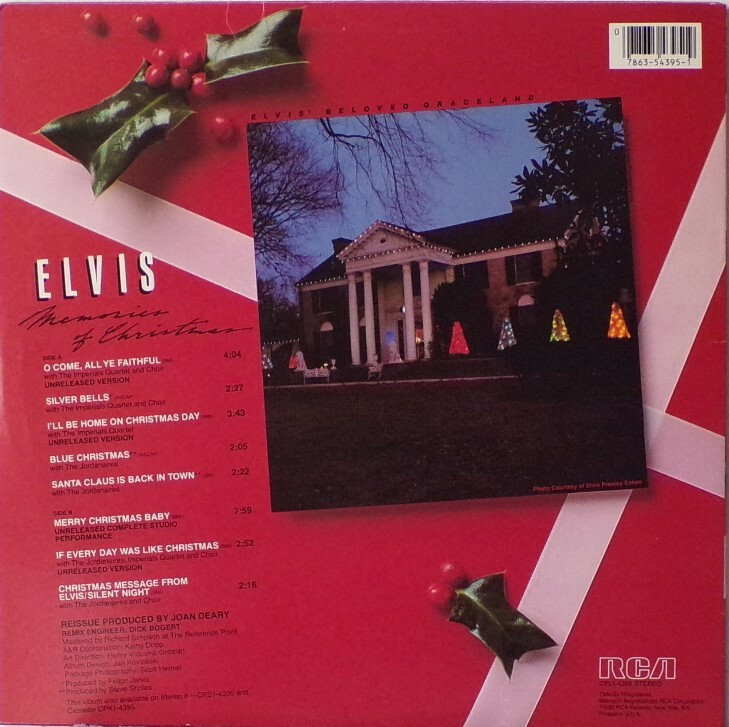 The unedited "Merry Christmas Baby" and a memorable alternate take of "I'll Be Home On Christmas Day" justify the purchase. 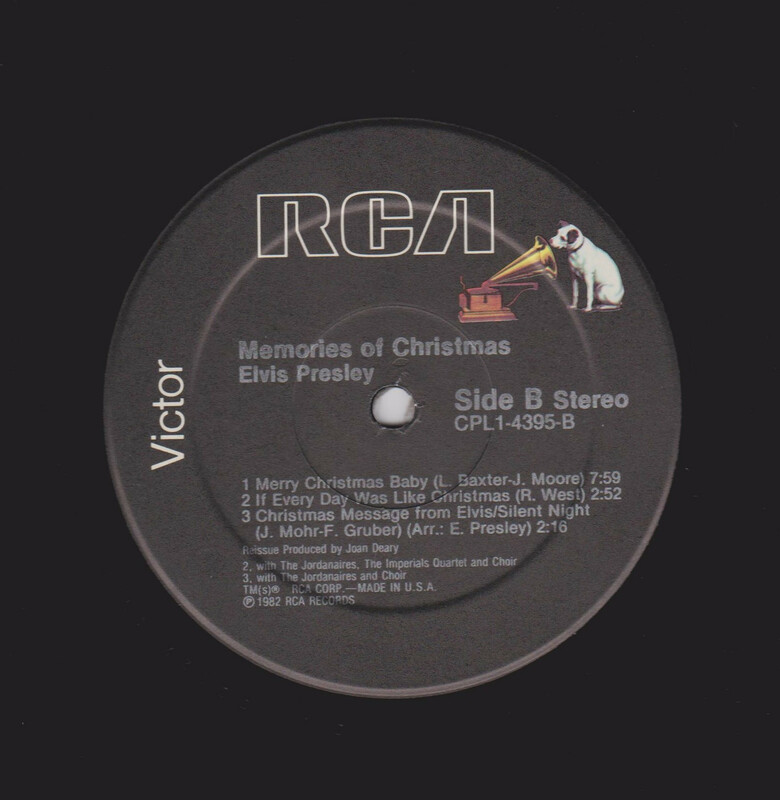 Both 1971 recordings can only be found in this holiday compilation. 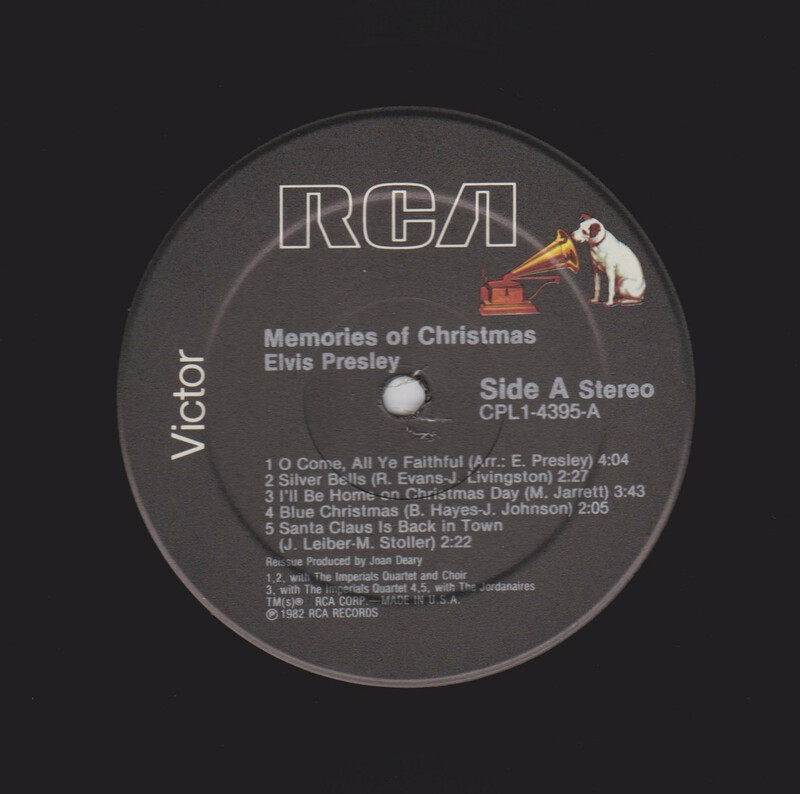 This is a stand out Elvis Presley Christmas album and to have it on vinly is the best part. The sizzling eight minutes of "Merry Christmas Baby," shows that this boy from Memphis could grind out the blues with the best of 'em. Front Cover : Postcard photo of Elvis. Title across top. Rear Cover : Photo of Graceland. Song titles to the left. Catalogue number & Printed in U.S.A. bottom right. 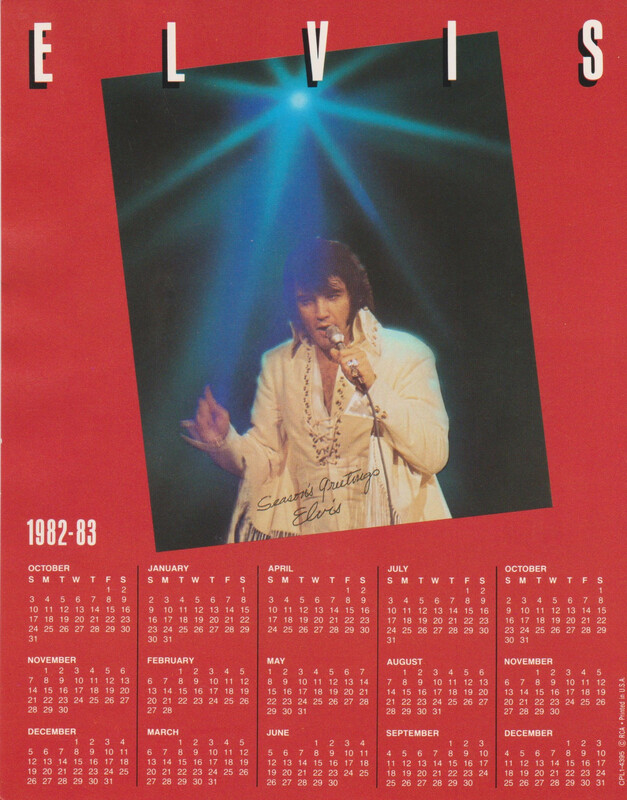 *NOTE* 9 inch x 7 inch (23cmx18cm) 1982-83 calender card enclosed with this release.